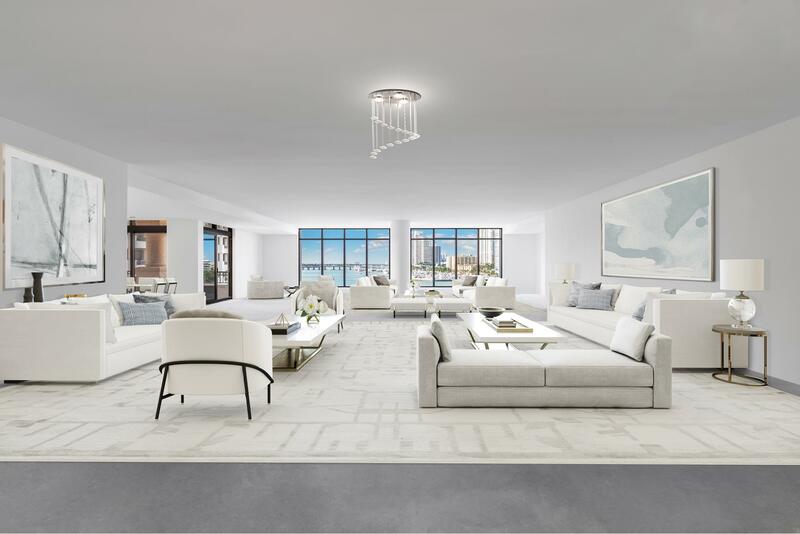 An unrivaled showplace on one of Tribeca’s most exclusive streets. This majestic 65’ wide mansion on a prime corner lot affords its upscale owner a rare and privileged lifestyle. This home is truly one-of-a-kind in every aspect, with 6 bedrooms, 7 full baths, 4 powder rooms, 3 fireplaces, an elegant formal living room, a professional Molteni Dada chef’s kitchen, sun-drenched art studio, staff apartment with separate entrance, stately den/library, screening and billiards room, tranquil outdoor dining atrium, a top-floor gym with a 50’ indoor heated swimming pool and 3-car garage. CLICK HERE TO VIEW LISTING.